The eldest was a razor-sharp novelist of upper-class manners; the second was loved by John Betjeman; the third was a fascist who married Oswald Mosley; the fourth idolized Hitler and shot herself in the head when Britain declared war on Germany; the fifth was a member of the American Communist Party; the sixth became Duchess of Devonshire. They were the Mitford sisters: Nancy, Pamela, Diana, Unity, Jessica, and Deborah. Born into country-house privilege in the early years of the 20th century, they became prominent as “bright young things” in the high society of interwar London. Then, as the shadows crept over 1930s Europe, the stark—and very public—differences in their outlooks came to symbolize the political polarities of a dangerous decade. 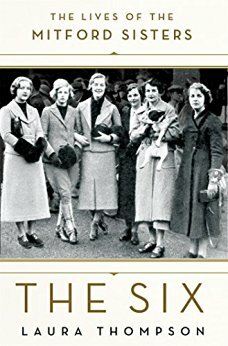 The intertwined stories of their stylish and scandalous lives—recounted in masterly fashion by Laura Thompson—hold up a revelatory mirror to upper-class English life before and after WWII.The Six was previously published as Take Six Girls.